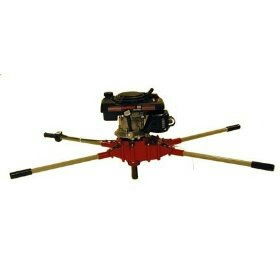 2 Person post hole digger with direct drive centrifugal clutch designed to slip on overload or contact with buried obstructions. Composite handles increases operator safety in the event the auger contacts an underground utility line. General model 300 with 5.5hp Honda gas engine. * Please call us for any questions on our digger 2man post hole rentals in Portland OR, Gresham OR, Milwaukee OR, and surrounding metro area.